Bending the knee stretches the vastus lateralis, medialis and intermedius. The rectus femoris relaxes due to the flexed position of the hip. The straight leg quadriceps contract stretching the corresponding hamstings. The quadriceps contract in this forward bend, lifting the patella, straightening the knee and stretching their antagonists (the hamstrings). Contracting the quadriceps draws the patella upward and against the anterior femur into a groove between the femoral condyles. The patella fits congruently into the intercondylar groove, stabilizing the standing leg. 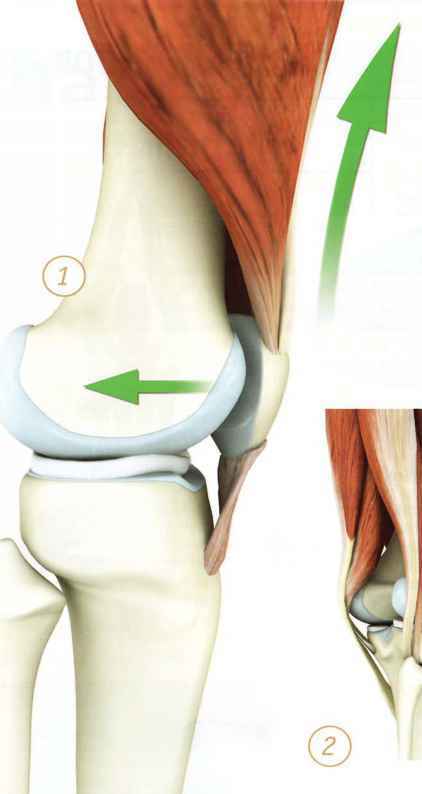 In this way the patella acts as a fulcrum for knee extension. 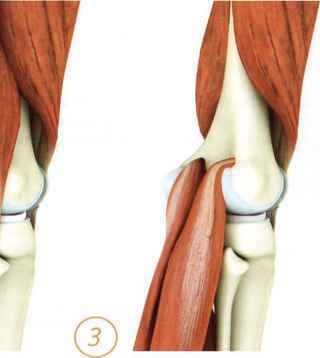 The flexors of the knee counterbalance the extension force of the quadriceps. 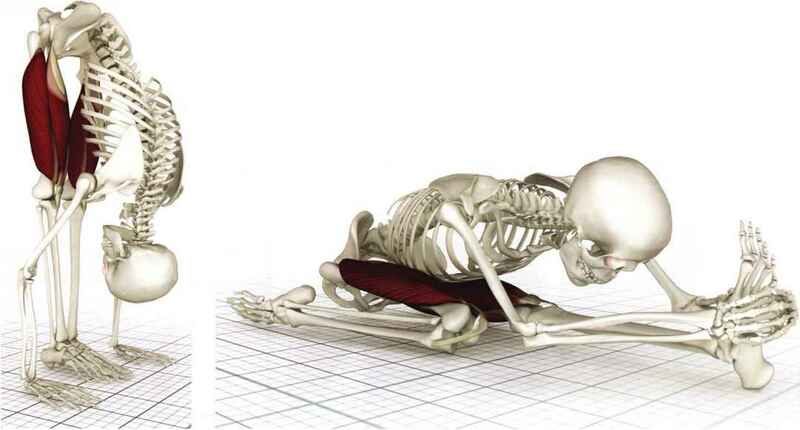 These images illustrate how the knee flexors and extensors oppose each other, stabilizing the knee. 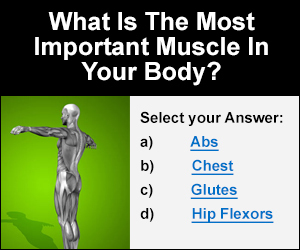 It is important to avoid hyperextension or "locking" of the knee during standing poses. 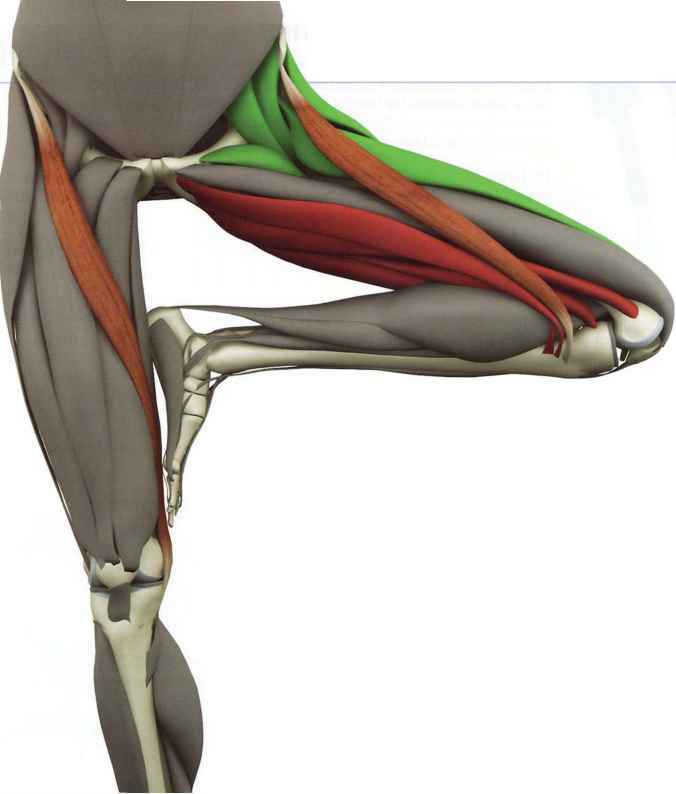 This can overstretch the hamstrings and creates unhealthy stress on the knee's articular cartilage. Contracting the knee flexors helps to avoid hyperextending the knee. For example, pressing down the ball of the foot contracts the gastroctnemius, stabilizing the knee. The sartorius is a long strap-like muscle originating from the anterior superior iliac spine and inserting on the upper medial surface of the tibia. 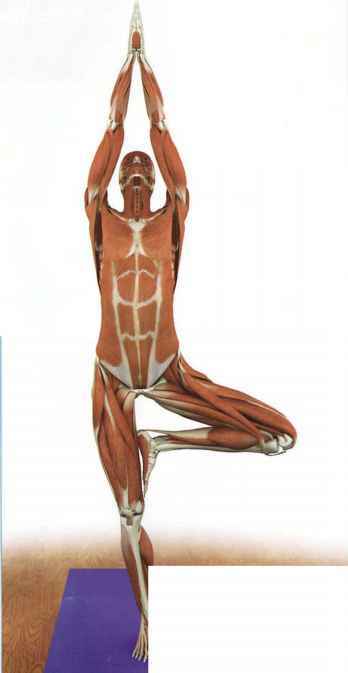 This muscle flexes, abducts and externally rotates the thigh, as in siddhasana, padmasana, vrksasana janu sirsasana. In fact, the Latin translation for sartorius is "tailor", because tailors used to sit cross-legged. 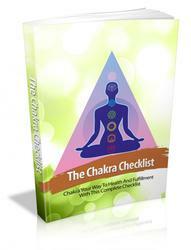 The femoral nerve innervates the sartorius, stimulating the second chakra. How to stretch the vastus lateralis muscle?